“BLIC, BLIC BLIC”. I could hear different voices from my dreams. I was almost sure I was having a nightmare. I opened my eyes qietly and realized the noise was coming from my room. That made me angry, not because my roomates didn’t have the right to talk in the room, but because I was so tired from class, that all I needed was a good sleep. The least I wanted at that point was a bunch of noise makers disturbing me. I was about to vent my anger when one of them rushed to me in so much excitement that she didn’t seem to notice the disdain on my face. “Guess what?” She screamed. I just looked at her, not sure of how to react, because I was to react based on how I felt, I’d have slapped her. “Answer now, just guess” she pestered. “What?” I asked absent mindedly, and she took a position beside me. “I didn’t even ask her to sit” I thought in my head, but tried to keep my cool. She took her time to sit, adjust herself and clear her throat. Now, that was beginning to put me off. It took the last strength in me not to snap at her though. “Babatunmise is about to serve us hot, I mean, real hot” she started slowly but emphatically. Immediately, my eyes lit up. I am a big fan of this man and I have my folder full of his songs. Well, I like him that much. She noticed the tranformation of mood and began to tease me, but, I was so curious that I found myself begging her to say the latter part of the gist. “Well” she continued. “He is about to do Babatunmise Live In Concert. BLIC!” she said smiling. It was then that it registered in my head, that my friends have been excited about something I would have been more excited about. She didn’t wast time to tell me the rest of the details and now, I feel so excited to share it with you. 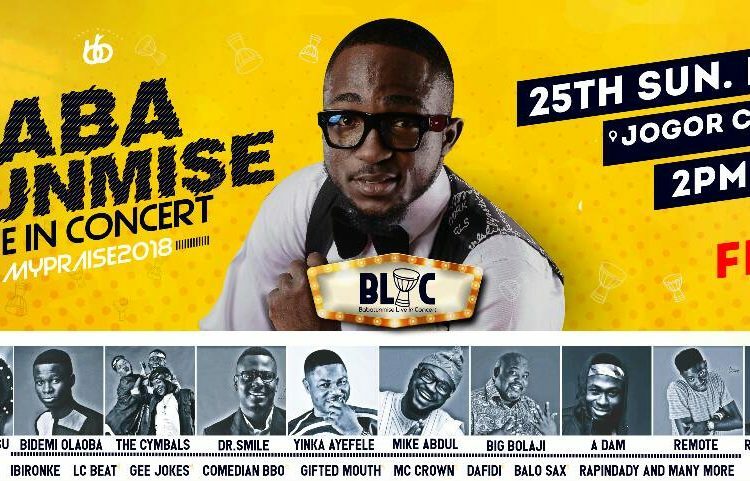 Babatunmise Live In Concert. BLIC is on the 25th of March 2018, at Jogor Center by 2pm. Guess the most interesting part of it, IT IS FREE. Isn’t that amazing? Anyway, I’m going to be there, come what may. By the way friends, just keep in mind that, You don’t have to be a Christian to Enjoy The Presence of God.